Paul Barringer passed away on 12/21/2016. He was many things to me over the years including a mentor, colleague, and friend. I first met Paul in the summer of 2000 during the 15th year of my professional engineering career and in the midst of pursuing higher levels of management along the corporate ladder. Prior to this period in my professional career, 30% of my career was growing my technical engineering skills, and the latter 70% was developing my operations, engineering, and technology management capacity. In 2001, my company was going thru a major Six Sigma initiative, and each manager was tasked at a minimum to complete certification for Green Belt as part of personal development. Admittedly, I was struggling with exactly how to apply Six Sigma to my role of Global Capital Projects Manager. Paul and I discussed my dilemma, and he directed me to an article on his website that he co-authored with Woodrow T. Roberts, Jr., Ph.D. in October of 2000 for the 9th International Process Plant Reliability Conference and Exhibition and later published in Hydrocarbon Processing magazine in October of 2001 titled, “New Reliability Tool for the Millennium: Weibull Analysis of Production Data.” I read it and struggled over the next few weeks to wrap my head around how to apply Paul’s article to my work and determine how it could help me with achieving my Six Sigma Green Belt certification. After further discussions with Paul, I began compiling daily production data from each of our seven manufacturing facilities and conducting Weibull Analyses. The results of that work revealed a 30% hidden capacity potential for the business, the equivalent of a fully new production line and over $500 Million in capital investment. I presented the initial results to my managers and received mixed reactions. A senior and influential business manager was skeptical of the results that the production processes could be performing as badly as the report showed because the business was making a lot of money. The same manager further voiced that even if portions of the analysis were correct, the reports did not tell them what to work on to extract more value, and thus the results were flawed. I shared the results and comments with Paul, and he was not surprised. He stated in effect, “these units are experiencing management issues and they are not taking advantage of the opportunity that true leaders would attack with vigor.” He shook his head and then said, “this is a classic symptom of why 30% of the asset base is constrained because of this kind of closed thinking.” He added they were being constrained by them “getting in their own way and neglecting to focus on daily plant operations ineffectiveness.” Paul believed the company was only looking profitable probably because they had increased prices and not focused to improve overall profitability. Paul then began to shift my comprehension of Weibull Analysis. Using daily production output data, we found a new dimension of process reliability as the way to address incorporating actionable planning for the company. The output from the multiple production lines was combined into a Monte Carlo simulation to avoid the typical manufacturing case of “over promise and under deliver” typical of production operations with process reliability problems. Patterns from several processes were identified, and Pareto losses are found to prioritize the problem-solving effort. Paul continued, “this helps make the banking account look good, but it could look a lot better if they also focused on reducing the variability and ineffectiveness of the operations.” He suggested that I should push this project in pursuit of my Six Sigma Green Belt certification and work to understand, establish, and quantify the reliability of these production units along with the lost gross margin opportunity. He indicated this was a perfect scenario to showcase the complement of Process Reliability with Six Sigma. Once I had defined my Six Sigma Green Belt focus to utilize Weibull Analysis of production data to define the hidden capacity for the business, we then integrated those results into the decision-making process for prioritizing requested Capital Growth Projects. Using that was a way to effectively get the most from the existing asset base before authorizing new growth capital investment. Although it was helpful having these results to drive Capital Project funding decisions, the big prize would come with attacking the 30% hidden capacity from ineffective operations in helping to reduce manufacturing costs. I was granted my Green Belt certification after taking the analysis through the rigor of Six Sigma – DMAIC. The business challenged my Green Belt project to see if this analysis could be used to identify specific and significant improvement projects. 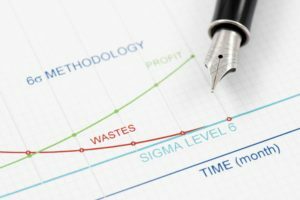 I then utilized Weibull Analysis to complete my Six Sigma Black Belt certification that yielded millions of dollars of improvement due to capacity release and just focused on cost reductions. The results were presented to the company Executive Engineering Leader, and I was encouraged to complete my Six Sigma MBB and create a corporate offering sponsored by that role. Although there was initially some pushback from some business management with this approach, there was hope when the Executive Engineering Leader recognized the power of the analysis and sponsored this work for the entire company. The incumbent management champion retired after several months. Unfortunately, the internal champion retired and the project lost true-sponsorship. Throughout the entirety of my journey in learning to apply Weibull Analysis, I realized that making assumptions about any management teams’ ability to easily connect with the statistical results, even though everyone had been technically trained, was a bad assumption. With Paul’s guidance, the resulting report outs were simplified to specifically direct the internal leaders in areas of direct control to make an immediate impact and enable them to engage more quickly. The differences between ZERO production and specific point production of assignable cause deviation are labeled as special cause losses. The differences between demonstrated and actual production are labeled as efficiency and utilization or common cause losses. Understanding the power of these two concepts enables any company to drive sustainable continuous profitability improvement. Paul’s work resulted in reducing “the hidden plant” by focusing on improving overall Process Reliability and it is our belief that Profit-Ability, LLC (PALLC) can significantly improve upon that by addressing management issues. His work is not done and as PALLC continues to relentlessly drive execution of Paul’s approach, we will shift from Paul’s management focus and include a concentration on execution for Proactive Risk Leadership issues to achieve higher levels of operational excellence. We have integrated Process Reliability into our offering QMAX$®, our trademarked blend of Lean, Six Sigma, and Reliability. Utilizing QMAX$®, companies can now understand the effective business case and drive that to action for sustainable profitability thru executing to excellence with Weibull Analysis. Future PALLC articles will outline how companies can engage QMAX$® to drive sustainable profitability so check back often. Through the years, utilizing this method we have quantified gross margin losses of up to $3.5 Billion in profit gain potential for making the global industry-wide improvements. This approach has been applied to Oil & Gas, Mining, Food & Beverage, Chemical & Petro-Chemicals, Utilities, Pharmaceuticals, Agriculture, Government, Polymers & Plastics, and Safety & Process Safety. PALLC has also utilized portions of QMAX$® to help a client deliver a business case of 370% ROI over a 3-year program. This included recommending long-term improvement plans that also integrated information technology software platforms to monitor sustaining the on-going improved performance. Future PALLC articles will outline how companies can engage QMAX$® to drive sustainable profitability so check back often. 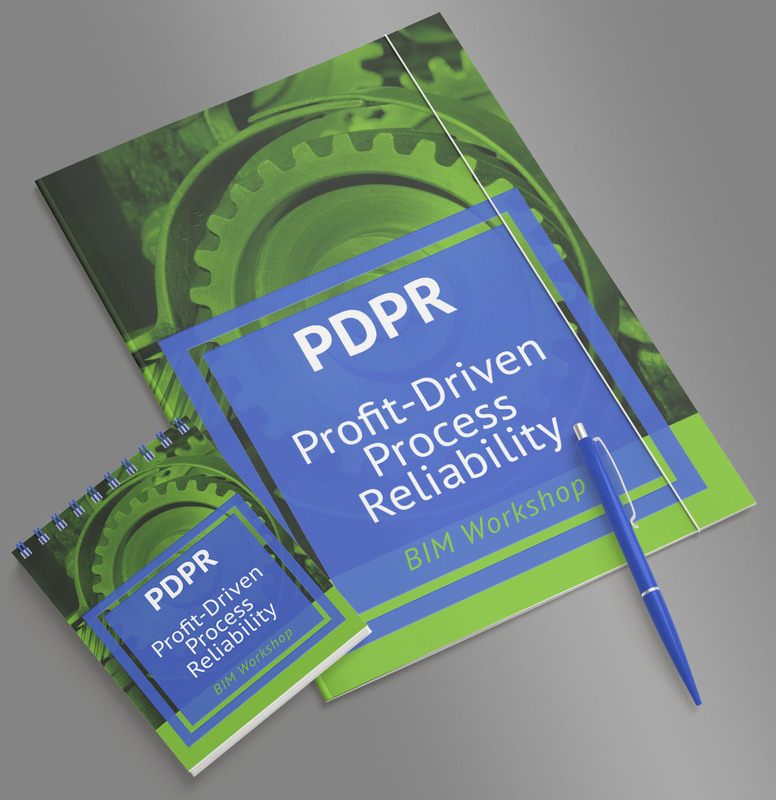 Companies seeking to accelerate their improvement journey should consider PALLC’s Profit-Driven Process Reliability (PDPR) workshop. PDPR teaches organizational business teams how to study their processes, determine the reliability of the process, and categorize the losses for a top-down view for identifying problems using advanced reliability analytic tools we call the “Dollarized Pareto”. The PDPR course helps attendees to quantify the overall business case ROI for driving action to execute the excellence journey to world-class for proactive excellence in terms of integrated maintenance, operations, technology, and leadership focus. The PDPR course helps attendees quantify the overall business case for ROI by integrating maintenance, operations, technology, and leadership focus and driving action towards excellence and world-class performance. It was Paul Barringer’s wish that several of his associates continue to deliver his teachings around the world. Collectively, we respectfully refer to Paul Barringer’s teachings as Reliability Learnings Forever. Barringer’s training modules and website administration have since been transitioned into the business entity of Profit-Ability LLC and entrusted to CEO and Founder Jose’ L. Wilkins. The following article represents the work of John Tomer – “Understanding High Performance Work Systems: The Joint Contribution of Economics and Human Resource Management”. Upon reflection of Mr. Tomer’s work and comparison of my extensive industrial experience, I concluded that our views are consistent and I will reference some of those views in the following article to explain why aligning People>Procedure>Practices and collectively eXecuting in a common measurable system, is the way to achieve long term economic sustainability and grow profitability. At the end of this post, I’m interested to hear your views on this topic. Sustainability strategies abound for employing existing resources optimally, so that a responsible and beneficial balance can be achieved over the longer term. Within a business context, economic sustainability involves using the many assets of the company efficiently to allow it to continue functioning profitably over time. A simpler definition of sustainability is a call to action (CTA), a task in progress or “journey”. To be realistic and achievable, involves a political process; clear definitions and vision must govern the common goals and values that are understood by all. So how do you know when you have achieved the desired level of sustainability? Is it gut-feel-as-you-go? Or, do you have other less subjective and equally effective ways of knowing when you have gotten there? Maybe a better question is, have you ever achieved your desired level of sustainability? If you answer no, perhaps after reading this article you will have better insight and we could connect to determine how we can help you align and execute your measurable sustainability strategy. We have developed a unique KPI that is derived from the results utilizing advanced statistical methods of production output. These results can be measured in terms of business reliability, production system utilization and effectiveness to formulate the overall operational eXecution level (OpX). This KPI can be used to characterize your position on the continuum from Reactive to Proactive work systems. If you agree that desired profitability can be achieved thru sustainability excellence as measured by operational eXecution, then you know this is the successful key to aligning people, procedures, and practices (3Ps) that are collectively eXecuted in a common measurable system or framework know as high performing work system (HPWS) and human capital management (HCM). So what kind of system do you operate in, traditional hierarchical, high performing work system (HPWS), or other? Let’s discuss HPWS in concert with a journey to eXecuting to profitable excellence.